Posted on February 10, 2014 July 7, 2014 by Thomas D.
This newsletter is dedicated to you because we want to share with you what you have so generously shared with us. By this newsletter, we want to bring to you a little bit of what it means to be a member of this amazing team. We want to fill you in on what we’re doing, provide some of our own personal stories, and share with you our many accomplishments. As the competitions approach, we would like to cordially invite you to join us at these fun, educational events. Bring family and friends and join us at our two FRC regional qualifying events. The first event is at Springside Chestnut Hill Academy (500 W.Willow Grove Avenue, Philadelphia, PA 19118) from March 14-15, 2014. The second event is at Lenape/Seneca High School (110 Carranza Road, Tabernacle, NJ 08088) from March 22-23, 2014. Don’t forget to wear crimson and gold, our team colors. We look forward to seeing you there! In addition, both of our FTC teams will be advancing to the PA FTC Championship Tournament to be held at Millersville University (Millersville, PA 17551) on March 1, 2014. We also would like to invite you to come out and support us at that event as well. 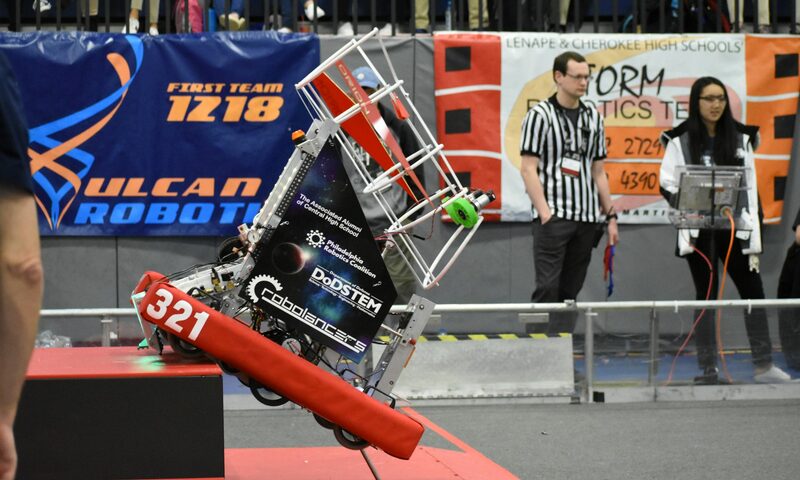 In the meantime, please read more about how we have been preparing for the competitions by enjoying this edition of the RoboLancers’ Roundtable. We hope you enjoy reading about our learning, progress, and fun times, which without your support we would not be able to accomplish.